Haiti is an extraordinary place. The combination of Africa and the Caribbean, brewed up with a bit of French legacy makes for a dense dark culture full of secrets and surprises. Even then, pre earthquake, it was not thriving. 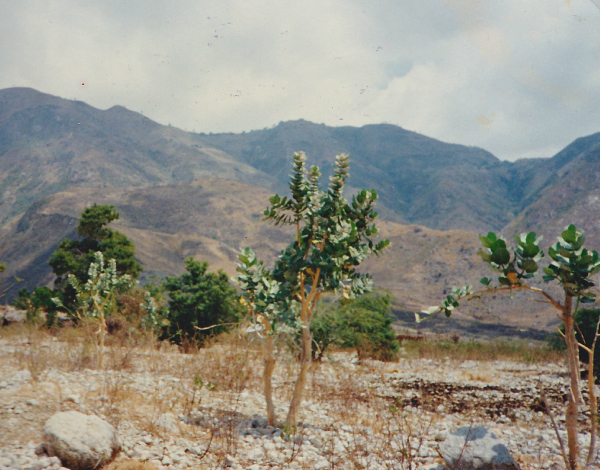 From the air you can see the border with the Dominican Republic – green on one side and barren on the other. The history of the place has been tough on the land and its peoples. Yet the spirit of the place was indisputable. I loved the tiny, brightly coloured shops, the wild decoration of the minibus taxis, the blurred line between banks and lottery ticket vendors, the masks, the vibrancy. As usual we had an intense work schedule. Trying to fit a month’s work into a couple of weeks. There was little time for cultural experiences, though the gentle giant who was working with us took us out dancing a couple of times. Without thinking I found that I kicked off my shoes most days. The cool marble floor made up for the lack of air conditioning and it didn’t feel like the business faux pas that it might have been in other corporate offices where I have worked. 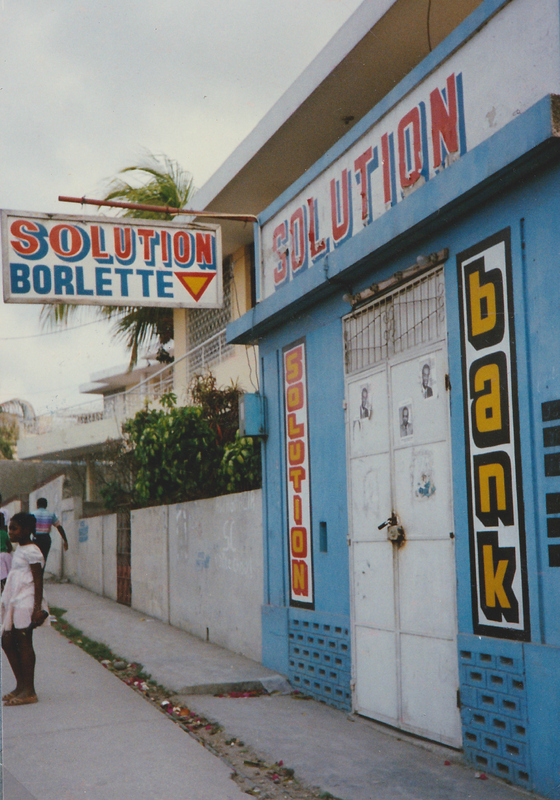 We squeezed the stories out of the data, pepped up by the vibrancy of Port au Prince every time we travelled between the hotel and the office. We managed a visit to the craft market where I stocked up on an extraordinary collection of ceramics and painted objects, which any of you who know Haitian style would recognize in a trice. I was caught off-guard, I had never considered that before. Was it true? I remembered how I had walked to my graduate job interviews barefoot along busy London streets and it struck me this might well have been to build my sense of self for the interview. I was not aware of the reasoning, but I had responded to the urge. Whenever possible I take off my shoes and walk barefoot. Through city centres, across parks, along beaches. It always feels better. It always makes me feel better. Thank you Haiti for letting me know why.